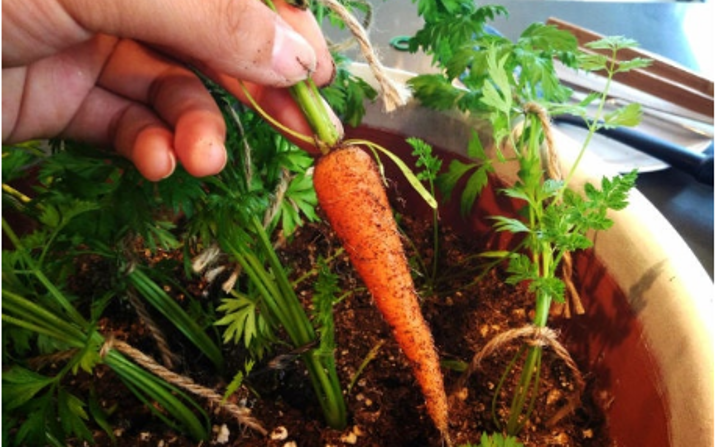 Grow your own food – Just For Sybarites! Embrace your inner hippie and grow some love. Growing plants is highly satisfying and it helps you get some sense of responsibility too..
Trust me there is nothing more satisfying than finally after some months making a salad with your own produce! 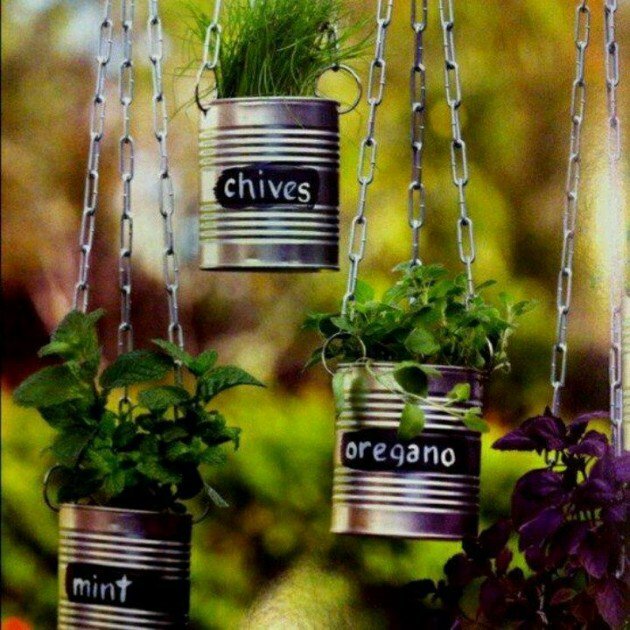 Of course must of us do not have a large garden so I’ll keep it simple.. 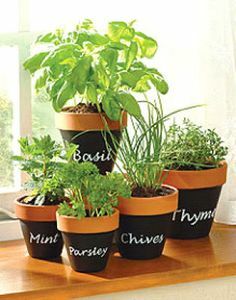 Focusing on herbs, the most delicate ones tend to be the most wanted which are coriander, basil, tarragon, dill and parsley. 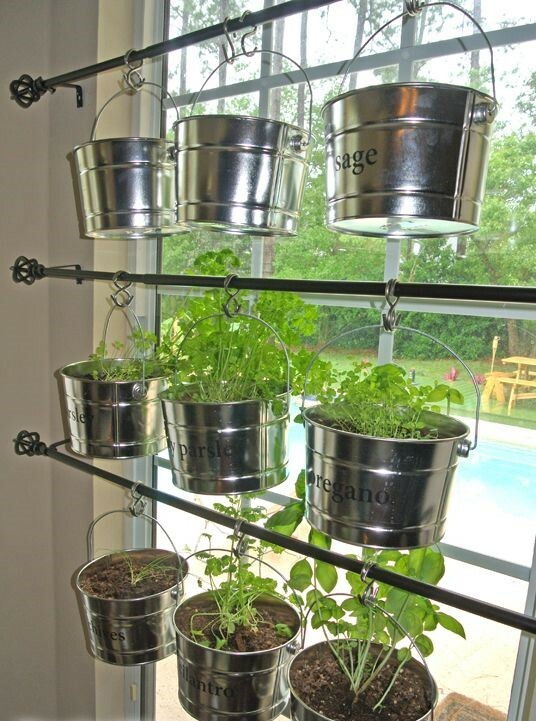 If you do have some space outdoors, lets say a hallway and very little time to take care of the plants then rosemary, thyme, bayleaf and oregano are for you since they require lots of sun and little water. These basically take care of themselves. 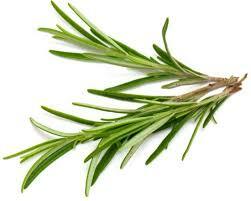 Make sure you keep rosemary in a separate pot since it tends to kill the others in order to spread. 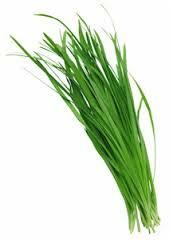 The best choice is mint, chives, sage and lemongrass. They need watering only once a week and with some window sun they will be happy. 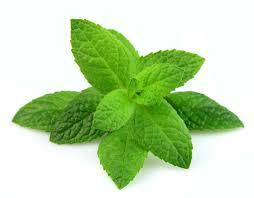 Mint, peppermint, spearmint, chocolate mint, they all behave just like rosemary and tend to be invasive so keep them in separate pots. 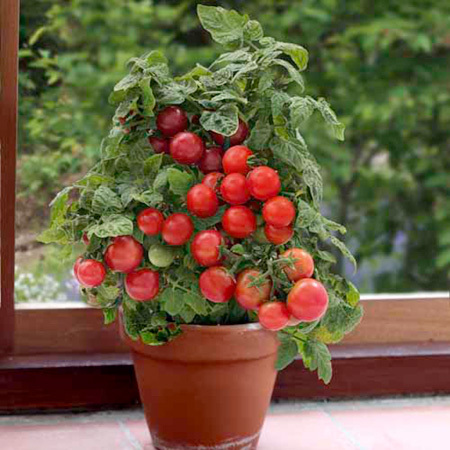 Easy indoor veggies you can grow in a pot are cherry tomatoes, peppers and baby carrots which all require 5hrs sun (window sun works but if you can put them out or open the sun window for a couple hours they’ll be happier). IMPORTANT!! 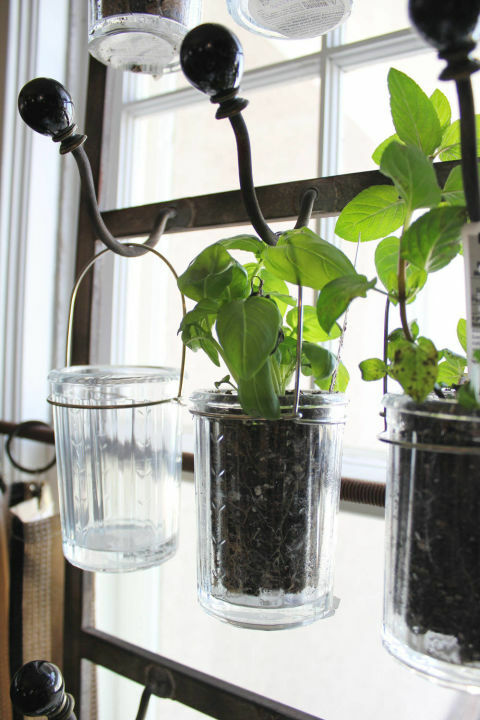 5 things to keep in mind..
Water is vital for your plants. 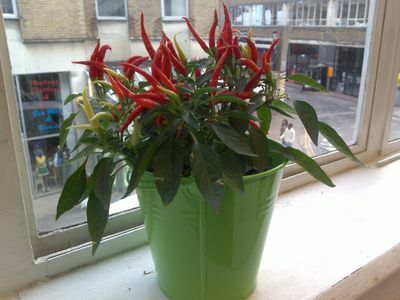 Most of the inside plants are happy with a once a week watering but be careful not to overdo it. You can use the thumb technique before you pour, just touch the dirt into a cm down and if the dirt feels moist then no water is needed yet. If the top dirt looks dry it doesn’t mean the inside is dry as well. 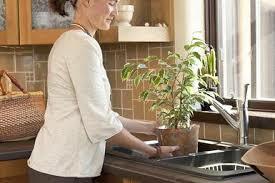 The best way to water your plants is at the sink. Soak it under running water and take it out to let it absorb and drain, then repeat the process once more. Everything in excess is bad for living beings, this is why plants should have a good drainage system just in case you are feeling too excited on the watering. 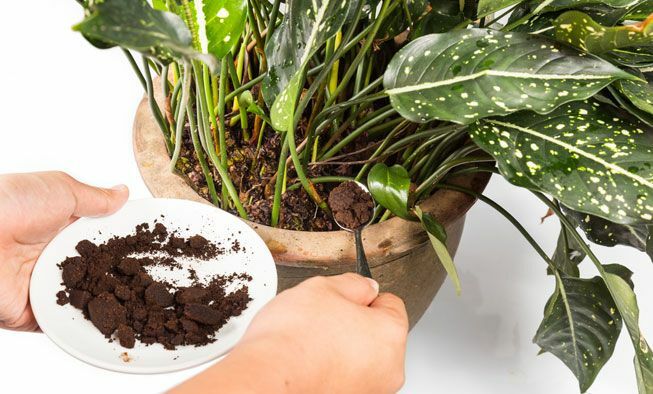 The plant will throw away the excess water out of the pot but sometimes a little plate may not be enough and can get cluttered thus water will accumulate and the plant will slowly rot. 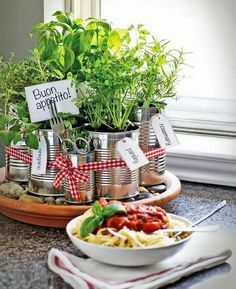 Easiest way is to have the plants with double pot, placing something in between to rise them up and having the second pot sealed for the water to be retained. 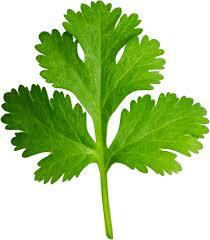 If your plant is looking rather yellow it is most likely that you are drowning it with too much water! Remember sun light is food for plants so they will need your help on this one. Most of the plants here listed will be happy enough with window sun. 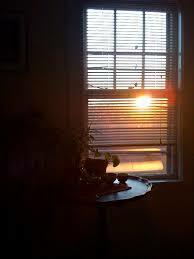 The sun of the first hours of the say are the best so try a window heading east. If you feel your plants don’t get enough light, you can help them out a little by setting a lamp with a fluorescent light bulb near by and turn it on while you shower and have breakfast in the morning (so you don’t spend a lot on electricity). The soil should always look lose, sort of lumpy. If after some months you feel that it is getting compact, use a fork to make little wholes in it. 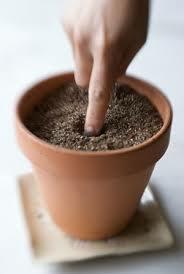 Once a month feed your plants with some homemade fertilizer. How? 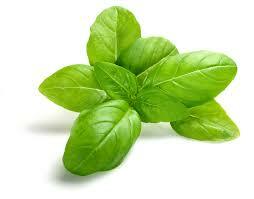 well, every time you brew coffee keep the ground grains and add them directly o the plant. 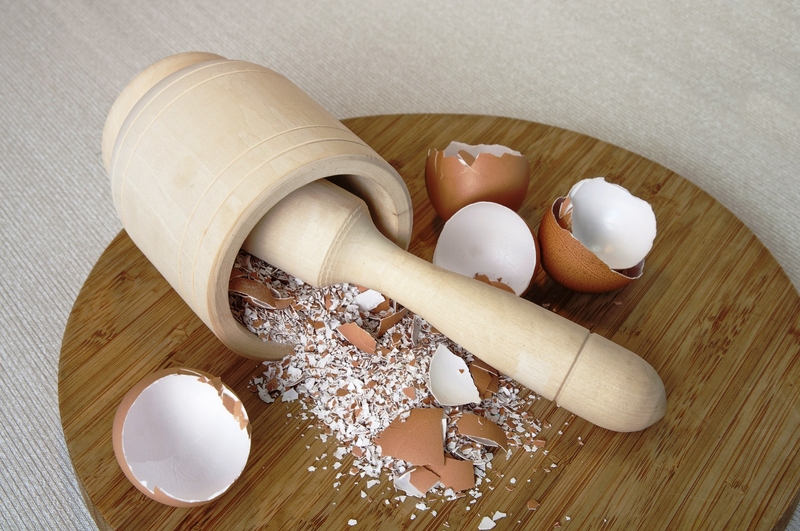 Another way is keeping your eggshells and letting them dry to crush them and feed them to the plants. DO NO ADD MORE THEN A TABLESPOON OF EACH PER MONTH. If your plants are inside it is very rare they will catch a pest but it is important to always inspect them to see if they are healthy. Usually on the back of the leaves is where you could find bugs or white/black dots. 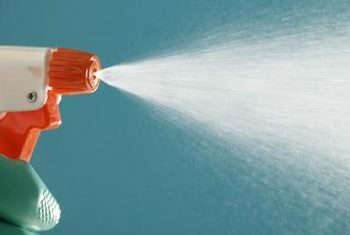 DO NOT USE COMMERCIAL PESTICIDES! 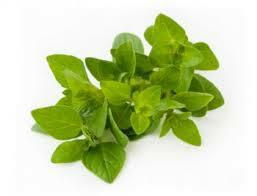 Remember you will eat these plants so all you have to do is mix some laundry powder soap with water and spray gently on the affected areas. 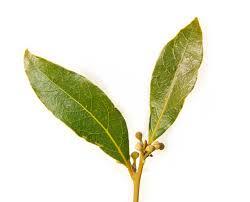 Like this you will be able to eat those leaves afterwards just remember to wash them. 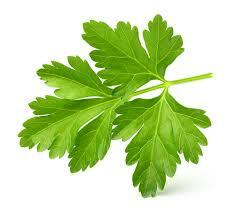 As far as veggies go, it is easy just let them be ripe and go for it. 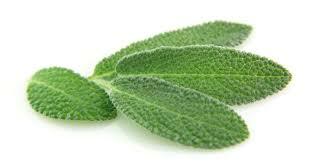 With herbs the thin get trickier, try always to take the mature leaves on the lover part of the plant. 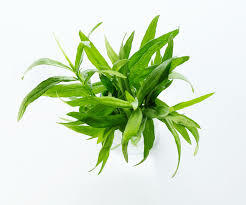 Never take more than a third of the plant since it will stress and die. 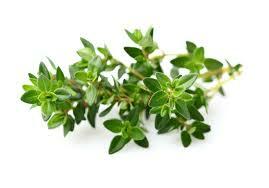 Easy to make and a great way to add moist and warmth to your herbs while growing. 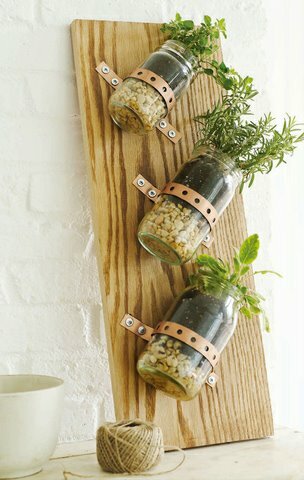 This would be hard to make at a larger scale but it is worth the shot to start with. 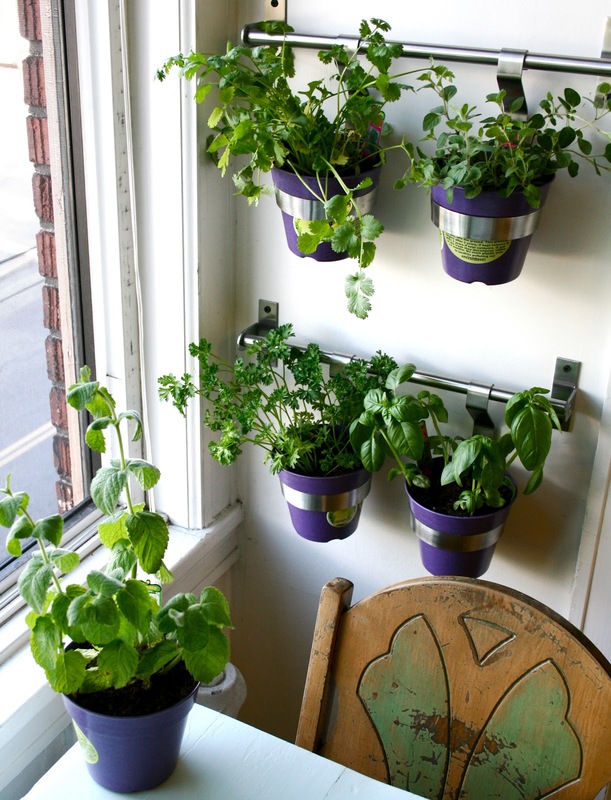 This idea is amazing since it is convenient for cleaning and to transport plants from a corner to another within the apartment and help them have sun all day long. 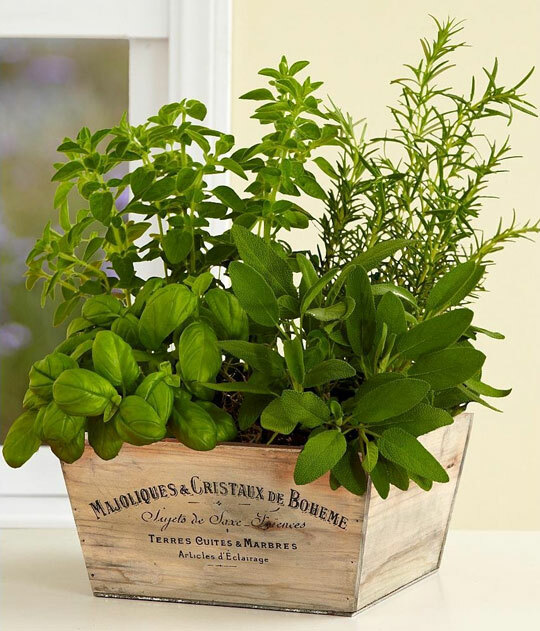 Wooden wine boxes are gorgeous to place plants in. You only need to line it up with a plastic bag to isolate the water from the wood. They look so cute! This is a romantic look that works great with tight spaces. 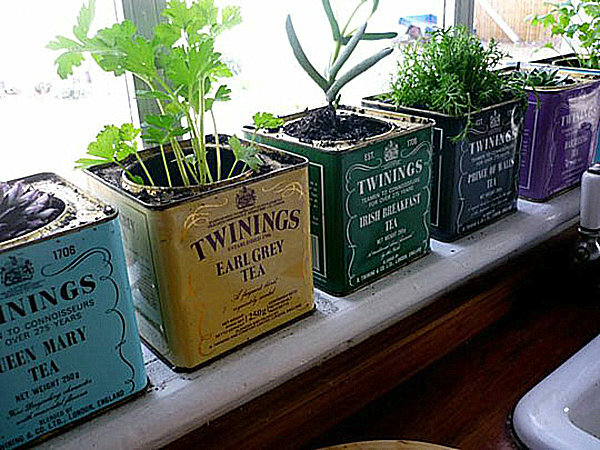 Plants are inside a plastic cup that have a whole to drain, then into the tea box. 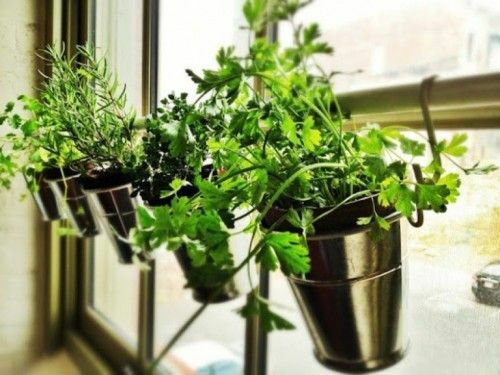 This is a very convenient idea when you know that it will be hard for you to remember when to water your babies. Notice how the the glass bottle has been sliced and placed upside down. 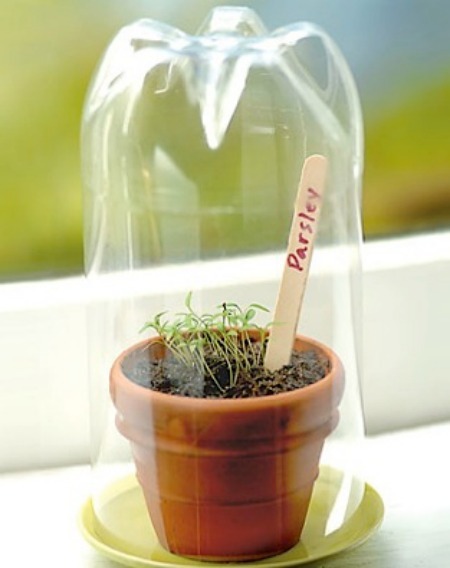 You will have to water them not in the sink but by pouring and as the plant drains the extra, it will slowly get the message and grow roots into the glass of water. 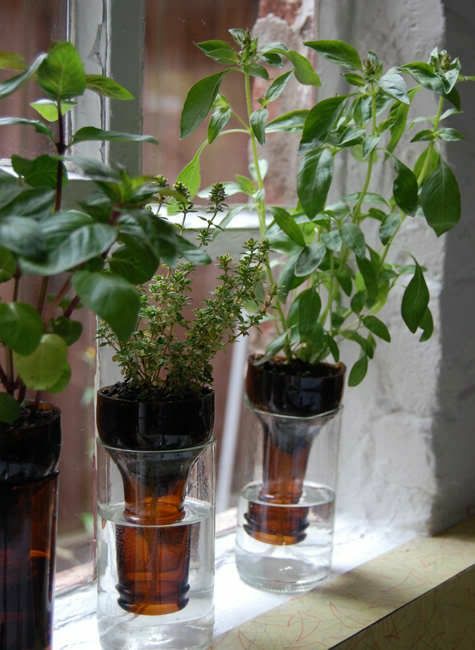 The only thing with using mason is that it can be easy to overwater them since there is no drain whole..You can have the plant in a transparent plastic glass and slide it in. If not then you can put some highly absorbent stones on the bottom. 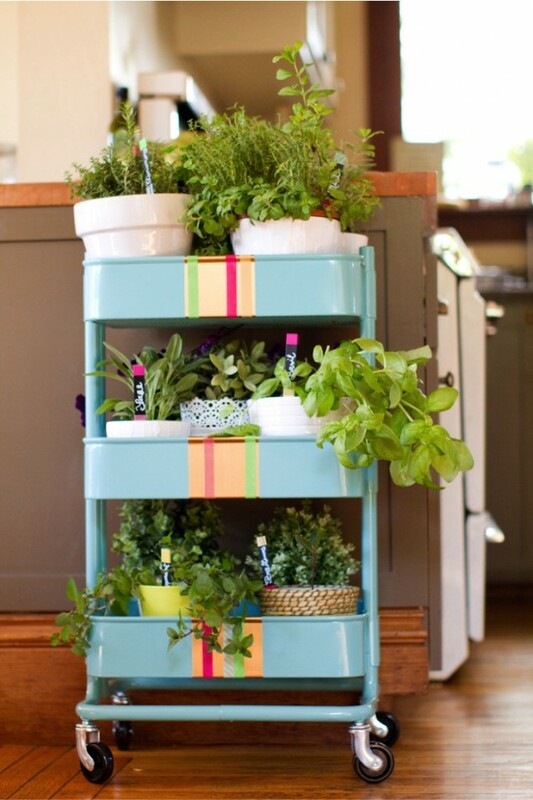 This is a cheap alternative that you can easily make at home anytime and play around with sizes.. Hang them, box them, have fun! 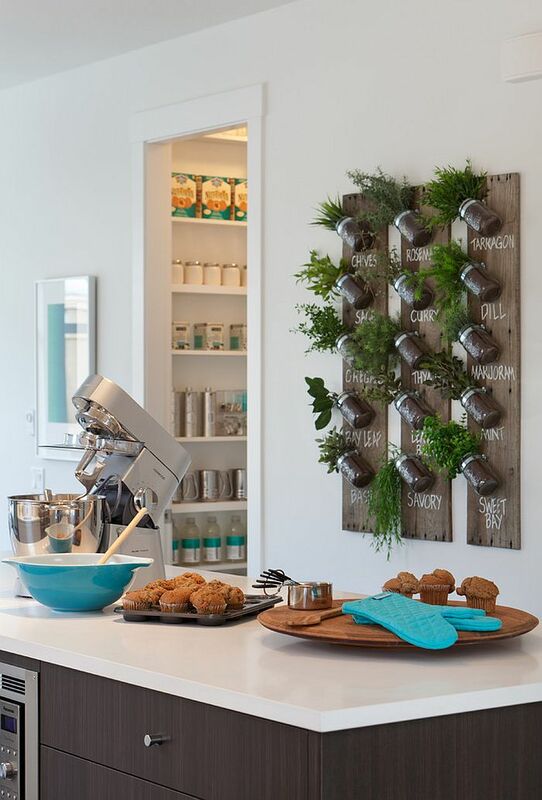 Whether it is made of clay, crystal, aluminium or with a cute blackboard on regular pots may be a perfect option! It’s all about a little committment and patience. Believe me it will be worth the wait!